Do you still love to blog? Yes, yes?? Ahhh, good, then you need read no further. If however, you are amongst the many who (after a certain time frame) start thinking about quitting their blog or maybe trying something else, then this post is for you! 1. You're good at it and you have learnt so much!! Aside from what others may tell you from time to time or maybe what they don’t tell you (not enough of us share our positive thoughts sometimes) if you’ve been working hard and learning lots about your niche, then you probably know what you’re talking about it!! The very fact that you are a unique individual means that you also have a totally unique ‘take’ on your subject matter. This means you have something very valuable to share! 2. Every blogger is a teacher, too. I like to think along the lines that every blogging connection and cyberfriend I make along my blogging journey is someone sent to teach me something. Not only do you gain skills as a writer by blogging, you also gain knowledge by reading what others have to share with you. 3. Blogging itself teaches you to be resilient. I think these are great thoughts to keep in mind, if you ever feel let down or disheartened in your blogging or marketing endeavours. Just keep on going, you’ll get there!! Despite that at times we don’t get 100% feedback, I think bloggers have to keep the fact in mind that other people are listening. I have spoken (in the real world) to people who have read blogs (and loved them!) for years and never ever left a comment (personally I couldn’t do that as I love to talk/comment!!). 5. By starting and maintaining a blog, you are leaving a legacy. Think about this for a minute:- everything you have ever said in cyberspace stays there forever!! 6. Not everyone can do it!! 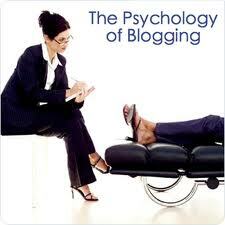 Despite the fact that there are millions of blogs in the world, not everyone on the planet will write one. For many people even the very idea of writing and being out in a public arena is way too scary. Some could never do it, so appreciate the fact that you can and keep on doing it!! Nurture your own awesomeness!! 7. You're discovering new things about yourself. At least I think you are. Let me know in the comments if you agree or disagree about that one! Whilst I have spoken to many who say they have grown, learnt and changed as people all through blogging and still others who have cherished blogging friendships, I would love to hear what blogging has taught you! Can you add a number 8 or 9 to this list? Apart from your own marketing or business success with blogging, what have you gained through blogging from a personal perspective? Do you see yourself as a teacher or mentor to others? If so, does this motivate you to keep on blogging?